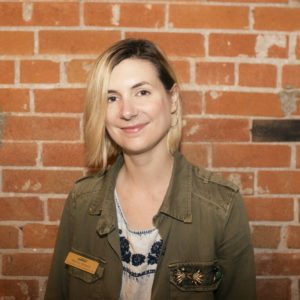 Carly Klassen is the Executive Director of Alberta Music Industry Association, having sat in various roles with the organization, including seven years as Program Manager. 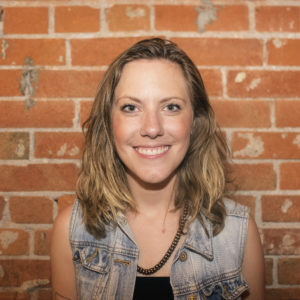 Since graduating the Arts and Cultural Management program at MacEwan University, Carly has spent her professional life as a tireless advocate for musicians and artists in Alberta on the national and international stage. Carly currently sits on the board of the Western Canadian Music Alliance, an organization made up of the music industry associations of western and northern provinces, whose primary event is the Breakout West conference and Western Canadian Music Awards. In 2017, she sat on the host committee for Breakout West in Edmonton. In partnership with Breakout West, she has led several international export development missions, bringing artists to markets in Nashville, the UK and throughout Europe. She currently sits on FACTOR’s National Advisory Board, CCIMA's (Canadian Council of Music Industry Associations) and Canadian Music Incubator's (CMI) Board and is on the Steering Committee for Alberta Music Cities Initiative in partnership with The National Music Centre. Prior to joining the non-profit sector at Alberta Music, Carly was employed from 2005-2008 at Stony Plain Records, Spirit River Distribution. Carly recently won, Industry Person of the Year at the 2017 and 2018 Alberta Country Music Awards. Cecilia joins Alberta Music after nearly two years with Inn from the Cold, an organization dedicated to helping Calgary’s most vulnerable families. She holds a Bachelor of Arts in Communications Studies from the University of Calgary and recently received a Digital Communications Certificate from Mount Royal University. Her previous experience in both the private and not-for-profit sectors has given her a unique skill-set to bring to her role at Alberta Music. Cecilia’s love for music goes back as far as she can remember. She is an active performer in Alberta’s music community as the bass player for Calgary punks The Shiverettes and currently sits on the Femme Wave Feminist Arts Festival committee. Olivia holds a Master of Arts degree from the University of Alberta. 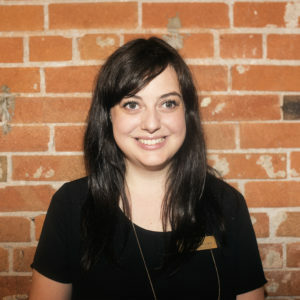 She joins Alberta Music after five years as a digital marketing consultant and brand strategist. She is also a self-managed artist and an active member of Edmonton's music scene. Olivia is the music curator for NextFest Emerging Arts Festival, and the talent coordinator for the venue On The Rocks in Edmonton. Her experience in the music industry as a self-managed artist, as well as a marketer and venue promoter, make her a welcome addition to our team.